Microservices is an emerging development paradigm where software is obtained by composing autonomous entities, called (micro)services. However, microservice systems are currently developed using general-purpose programming languages that do not provide dedicated abstractions for service composition. Instead, current practice is focused on the deployment aspects of microservices, in particular by using containerization. 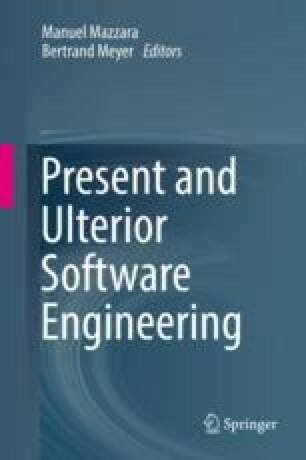 In this chapter, we make the case for a language-based approach to the engineering of microservice architectures, which we believe is complementary to current practice. We discuss the approach in general, and then we instantiate it in terms of the Jolie programming language.